Last Friday at the Private Dentistry Awards 2018 http://www.theprivatedentistryawards.com/the-2018-finalists/, Corona Dental client, Bishopsgate Dental Care had another tremendously successful night. 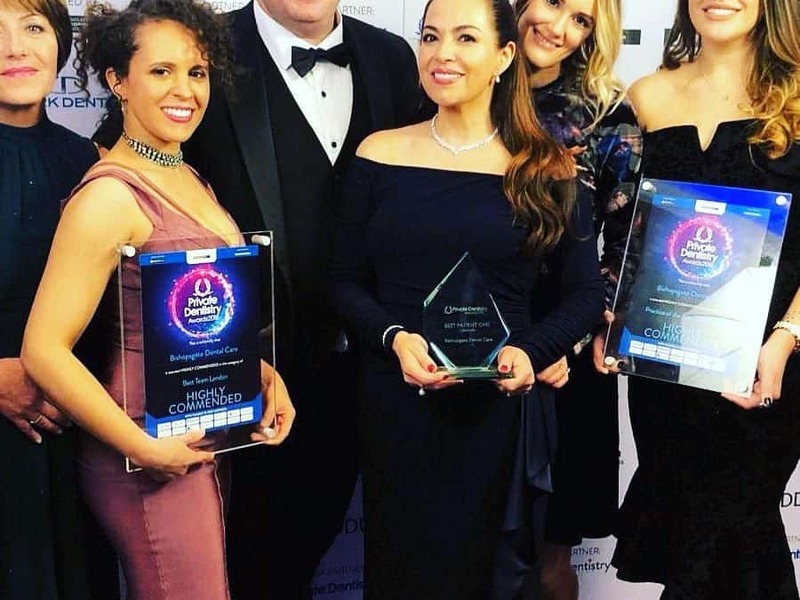 The team led by Principal Dr Gina Vega won Best Patient Care – London and were Highly Commended in both the Best Team and Best Practice categories. 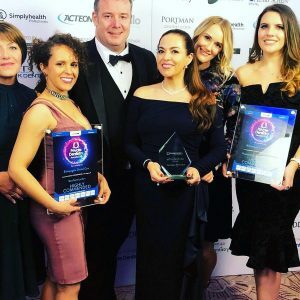 This followed on from their recent success at the Dentistry Awards where they scooped the Best Practice – London prize and Highly Commended for Best Patient Care. Awards are a fantastic marketing tool and let patients know that you strive for excellence in all that you do. If you are an award winning practice, not only are you saying how great that you are, but an independent third party has seen the value in what your provide too. New patients will love to attend an award winning practice. Carrying an award winning logo on your dental website and all around your social media will see a significant increase in conversions and contacts. Existing patients will love that their choice of dentist has been validated by a third party and are very likely to share this information with all of their family and friends – it makes their choice discerning. But! Writing award winning entries takes time and expertise. Time that you probably don’t have! If you would like your dental practice to be an award winning practice then you need to speak to Corona Dental. We have the time and the expertise to present your practice in the best possible light. We will produce stunning and compelling entries that judges won’t be able to ignore. In fact, in the last 5 years we have been responsible for more than 25 winning entries in the UK and Ireland. A big well done to Gina Vega and the Bishopsgate Dental Care team once again!